Whoops! Looks like we took a wrong turn! To get to your hotel room, try searching again. Save up to 25% on select rooms at the Walt Disney World® Resort when you book by April 27, 2019. 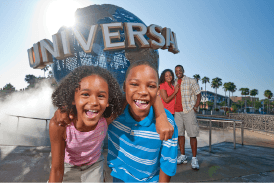 Plus, up to $55 OFF already discounted rates on select Orlando hotel stays with a min. 4-night stay. Offer applied in cart. Aw, toad warts! There are no results to show on the map. Please adjust the filter options or the map zoom. Hoppin' deal! Savings reflected in rate. View Rooms Only rooms left! Aw, toad warts! There aren't any hotels that match your request. Please adjust the filter options. Large studios that are perfect for families! Hot spring & a geyser! Convenient location with a shuttle to Disney! Wyndham Bonnet Creek - Extra Holidays, LLC. Affordable on-site hotel option within walking distance to the now open Universal's Volcano BayTM! Free shuttle to LEGOLAND Florida!